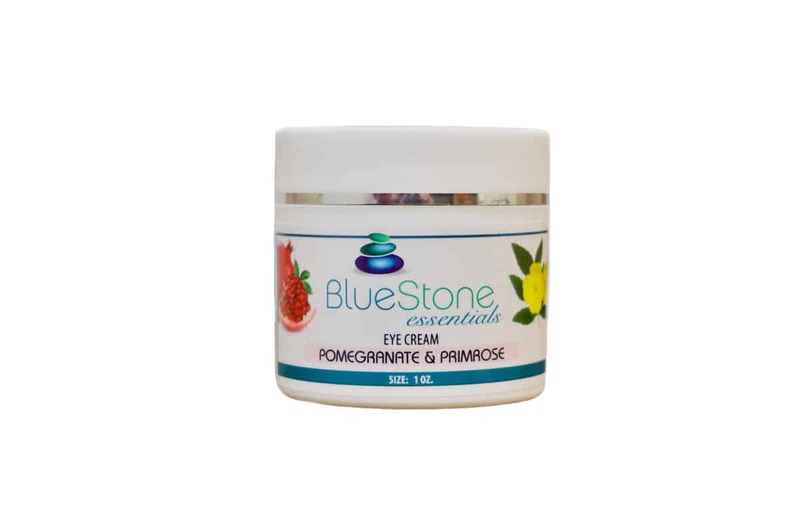 Pomegranate and Primrose Eye Cream is is a gentle and rich plant based cream made with 86% Organic ingredients. It is enhanced with hyaluronic acid, lavender, blue-green algae, calendula, rooibos and pomegranate extracts and evening primrose to soothe, supply and retain moisture in the tender and delicate skin around your eyes. Excellent to use morning and night to help minimize the appearance of fine lines and wrinkles. Use with our Rich Face Cream. Aloe Barbadensis (Organic Aloe) Leaf Juice, Olea Europaea (Organic Olive) Oil, Simmondsia Chinensis (Organic Jojoba) Seed Oil, Organic Alcohol Extracts of Lavandula x Intermedia (Organic Lavender ‘Super’) Flowers (and) Aspalathus Linearis (Organic Rooibos) (and) Calendula Officinalis (Organic Calendula) Flowers (and) Aphanizomenon Flos-Aqua (Organic Blue Green Algae) (and) Punica Granatum (Pomegranate) Extract, Emulsifying Wax NF, Stearic Acid, Oenothera Biennis (Evening Primrose) Oil, Lavandula Angustifolia (Organic Lavender) Distillate, Tocopherol (Vitamin E), Sodium Hyaluronate (Hyaluronic Acid), Xanthan Gum, (May contain sodium bicarbonate and/or citric acid as pH adjusters). I absolutely LOVE this eye cream. It’s so good that my fiance has started using it on his eyes too. That is saying a lot since he is a guy’s guy and works on a river. But our skin dries out so fast running around on the river and being outdoors in the dry climate, and this formula gives us enough moisture to combat the damage from the sun and exposure. I highly recommend this product for, men and women!! !